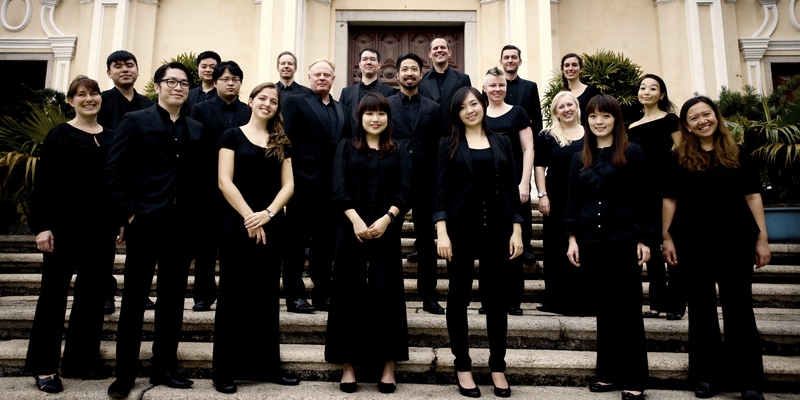 Tallis Vocalis is Hong Kong’s first vocal ensemble dedicated to the performance of early and Renaissance music. Founded by local choral enthusiast Raymond Choi, the ensemble focuses on Renaissance polyphony of the 15th and 16th centuries, with the occasional foray into early Baroque and contemporary works. In 2014 Tallis Vocalis gave its inaugural concert with British conductor Andrew Griffiths from Stile Antico in a programme of English Tudor works. In subsequent years there have been collaborations with British conductors Christopher Watson and Geoffrey Webber. In 2017 the ensemble made its debut in Le French May Festival with a Franco-Flemish programme featuring Josquin des Prez conducted by Edward Wickham. Later that year the ensemble worked with Peter Phillips, director of the world-famous Tallis Scholars, in a concert of music by William Byrd and Arvo Pärt. Recently they have expanded their horizons by collaborating with renowned contemporary dancer Christine He and with the City Chamber Orchestra of Hong Kong.